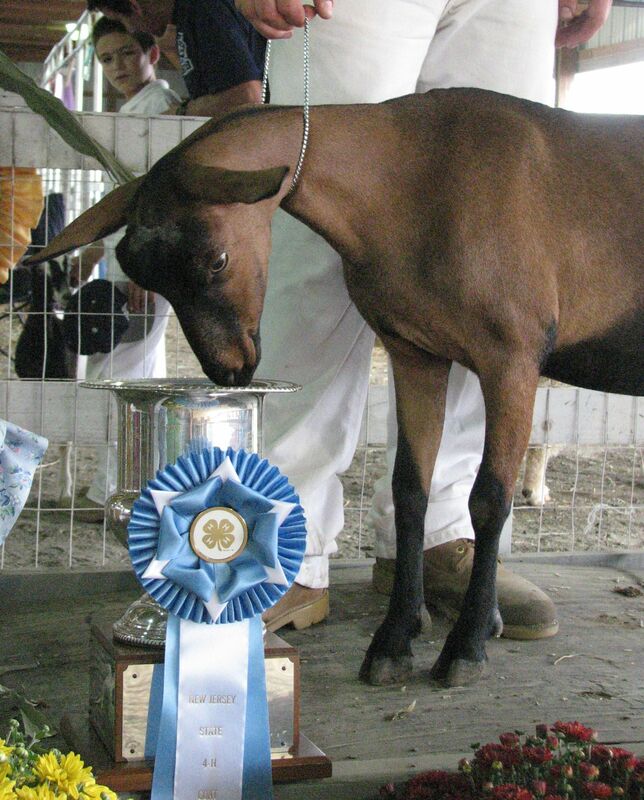 Welcome to Sparkling Acres Dairy Goats, a small herd of Oberhasli Dairy Goats located in central New Jersey. 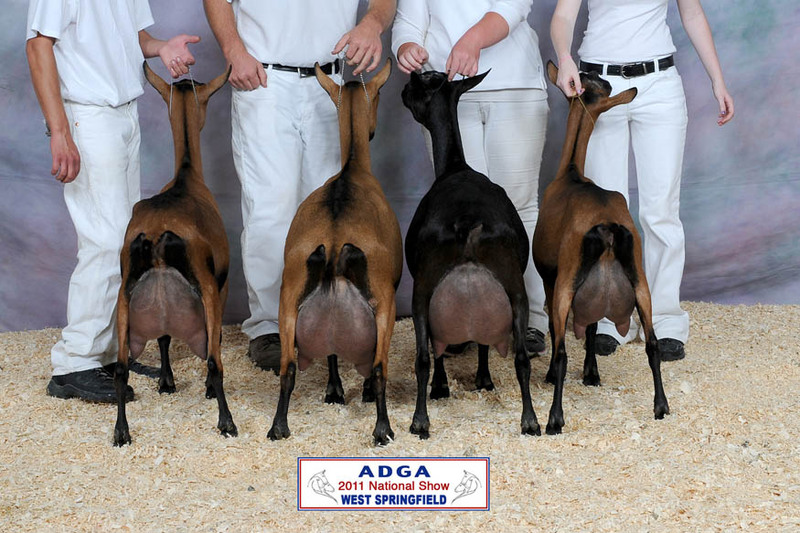 We are a small herd committed to breeding quality Dairy Goats – animals that perform well for us, as well as in the herds of our fellow breeders. Thank you for your interest in our herd of quality Oberhasli and LaMancha Dairy Goats! We are proud of our animals, our children, and their accomplishments both individually, and together. 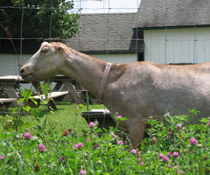 Although we have been raising Dairy Goats for over 20 years, we have been raising Oberhasli since 1997 when Tim asked for one for his birthday. Little did we know how much joy and change “Sparkles” would bring to our lives! GCH Windrace Farms Jingle Sparkles 2*M was purchased when she was just one day old…and it’s been history ever since. SGCH Sparkling Acres Winter Rose 3*M, a Sparkles daughter, is another doe that has had a huge impact on our herd. We are both honored and humbled to say that Sparkling Acres 3 Gun Salute, a Rosie son who resides in the Vanjust herd, is a 3x National Premier Sire! Most does in the herd today can be traced back to Rosie and are closely related to Salute. This website is dedicated to both Sparkles & Rosie and the many memories they’ve brought to our family. Why not add a little sparkle to your herd! Our kidding season will start in March…and we’re excited! Check out our Breeding Summary page for details. We are excited to announce the addition of Vanjust VDR Endless Jazz as our new herdsire!! Visit our Terms of Sale page for purchasing kids. We are excited to welcome *B Vanjust DVR Endless Jazz as our new junior herdsire!! Jazz is a double grandson of 2x National Premier Sire +B Sparkling Acres 3 Gun Salute & is the 2014 son of SGCH Tutlelu Annielu, 2013 & 2014 Reserve National Champion & 2013 Reserve Best Udder! !